The measure has the 2 key measurements pre-marked on the tape: dartboard height and bullseye to oche distance. 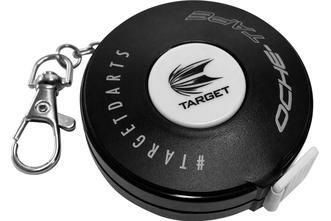 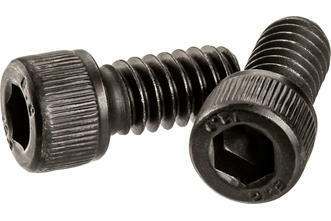 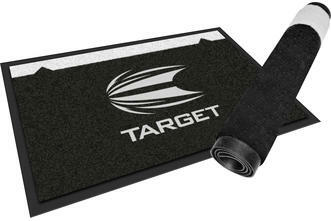 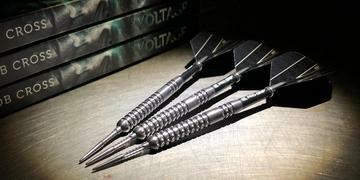 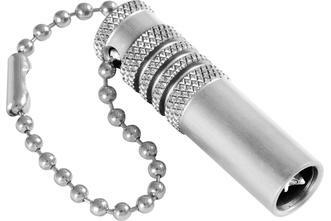 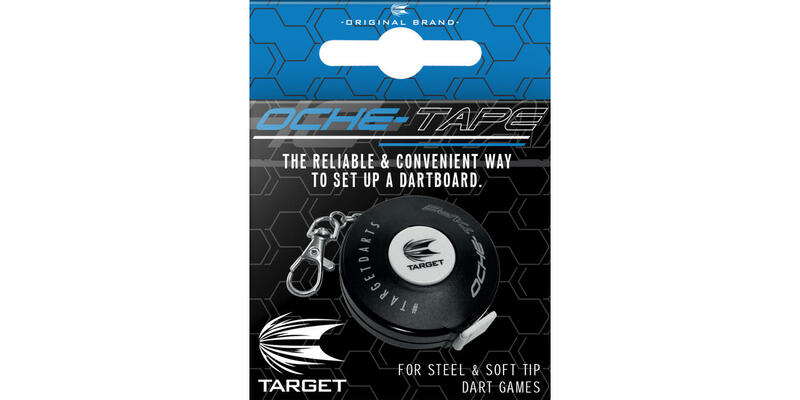 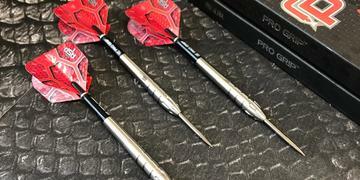 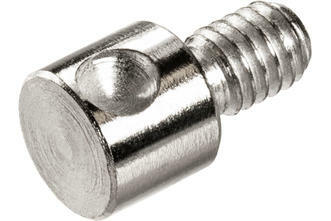 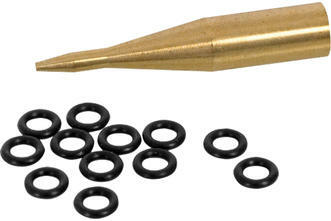 The Oche tape features a metal ring at 0cm, this allows you to use a dart to hold the tape in place on your bullseye. 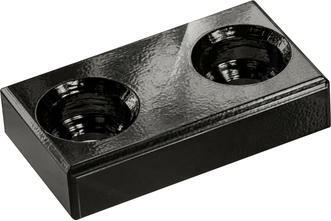 This means only one person is required to do the measuring.